The Chison EBit 60 is one of the most popular portable, shared service ultrasounds available on the market today. The EBit 60 ultrasound is a high-performance device, packed with all the power most physicians need while still being ultra-affordable and ultra-portable. Cutting-edge imaging technologies (Compound Imaging, Harmonics, and Speckle Reduction Imaging) also make the EBit 60 a leading competitor for today’s challenging clinical environments. 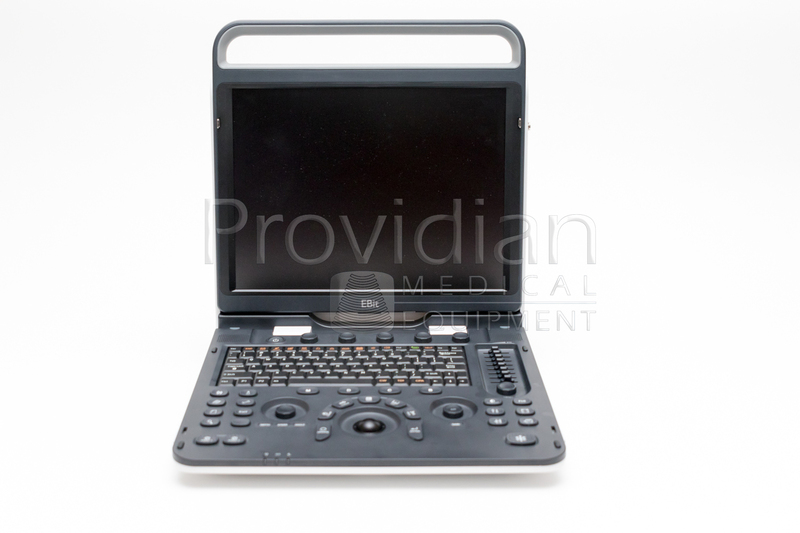 The EBit 60 is very lightweight, weighing around 16.5 lbs, and its removable battery, carrying handle, and two probe ports make this system ideal for shared service among networked clinics, hospitals, and private imaging centers. This ultrasound boasts a wide range of clinical applications, including cardiology, OB/GYN, radiology, abdominal, pediatric, MSK, breast, vascular, and small parts. During use, physicians can benefit from ergonomic and streamlined workflow features. For instance, short-cut key functions and one-key functions are helpful in time-constrained situations as well as improving patient flow. Lastly, some of the most advanced technologies in this portable ultrasound include its innovative FHI harmonic imaging technology, Q-flow adaptive color detection, elastography imaging, and one-touch user-adjusted contrast resolution (X-contrast). The Chison EBit 60 is a widely used portable ultrasound adapted for small- and medium-sized clinics, hospitals, and private imaging centers. We performed side-by-side tests with Chison to get the best balance of workflow, image quality, and usability to satisfy our customers’ demands. In short, this is a solid ultrasound machine that we are very pleased with.